Beautiful room flow, brand new sparkling clean kitchens, and the ever elusive fully upgraded master bathroom. If those words spark a visceral reaction in you, it might be time to upgrade into a new luxury home as soon as possible. Sometimes it’s not always clear whether or not you’re ready to either move into a new home or move areas, if you’re interested in Northern Virginia either buying or selling, we’re here to help you! As the above list mentioned, there are many wineries and vineyards nearby that people near and far come to visit. For example, Breaux Winery in Loudoun County offers wines with a Cajun flair, and is dog friendly for your little furry friends! Another popular vineyard is Stone Tower Winery, in addition to remarkable wine, they have amazing brick oven pizza as well. These are just a few of the multiple esteemed universities nearby. If you have a child nearing college age, it’s never too early to start looking. While these are all excellent reasons why to move to the Northern Virginia area, we would assume you will spend most of your time at your new luxury home that you don’t ever want to leave! This is where you come in, what is most important to you in a forever home? You can start thinking of color palettes you want used in your new home. Either established neighborhoods, or those with a little acreage, we are sure we can assist you in your new luxury home. Bright new spaces and comfy, cozy corners are waiting for you to enjoy. Neighborhoods in DC or in the Mountains, Northern Virginia has something for everyone! Navigating the Northern Virginian neighborhoods, country clubs, and farmland is what we are here to assist you with, and happily so. From private retreats to busy communities we can tour anything and everything to find you the right place. If you are interested in somewhere with a lot of land and maybe a little bit to hobby farm, we can show you the possibilities and get you on your way to growing your dream. 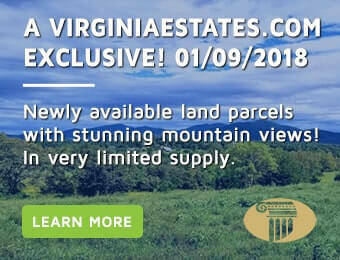 Interested in finding out more information on Northern Virginia Luxury Homes for sale and other industry news? Check out virginialuxuryhomes.net as additional delightful source for viewing and discovering beautiful homes.